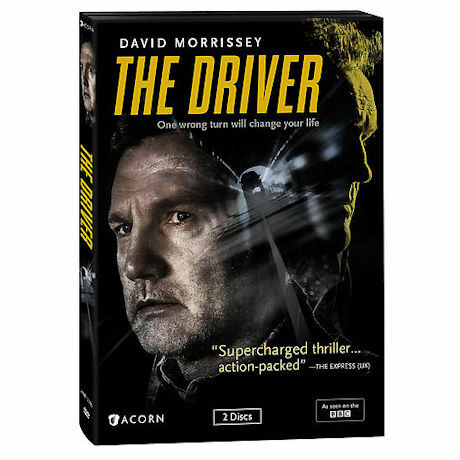 Manchester cabbie Vince McKee (David Morrissey, The Walking Dead) is at a crossroads. His job is dull, his marriage is stale, and his son has left home. When an old friend just out of prison gives Vince a chance at life in the fast lane, he agrees to be the driver for a shady gang leader (Colm Meaney, Star Trek: Deep Space Nine). The danger makes him a new man, but there's a price to pay. This morally ambiguous BBC miniseries was hailed as "top drawer ... a compelling sense of dread permeating the script" (Sunday Telegraph, UK). 3 episodes, 3 hrs, 2 DVDs, SDH.